Jennifer Ward-Lealand is an acclaimed actor whose screen roles include singing, comedy, Parisian prostitutes, and working class Kiwi mums. Aged seven, while at a theatre rehearsal with her father, "it hit me like a bolt of lightning that I wanted to act". As Ward-Lealand told E-Tangata in 2016, "I was very, very clear about that. Never wavered. Never knew how I was going to do it, but never wavered in my desire to be an actor." Her screen debut followed a few years later, in Paul Maunder's docudrama Gone up North for a While. Ward-Lealand's first ongoing television role came at age 14, playing Jan in Close to Home (1978 - 1980). "I don't think I was very good," she told The NZ Herald in 2016. "I played Gail's bad influence. If you look at it now, it's so slow. You watch a clip and it is literally like watching paint dry, because that's the rhythm everything moved at then." After leaving school, she gained valuable experience touring New Zealand in a community theatre group, performing clown shows and Chekhov. A diploma in acting from Auckland's Theatre Corporate led to further work; she also met her future husband Michael Hurst there. In-between the theatre work that followed, Ward-Lealand appeared alongside Temuera Morrison in TV series Seekers, winning praise from The Evening Post for her "strong" performance. But arguably her breakthrough TV role was 1985's Danny and Raewyn, an episode of anthology series About Face. Filmed largely in a flat so cramped the camera operator sometimes had to sit on the stove, this tale of working class marriage breakdown won Ward-Lealand a GOFTA Award. She played a young mother whose husband appears to be more interested in his car. The same year saw her big screen debut, as the nightclub singer Costello — she sang three songs — in crime thriller Dangerous Orphans. Then she joined Harry Sinclair and Don McGlashan in multimedia group The Front Lawn, touring New Zealand (and overseas) in a V8 Pontiac covered in fake grass. Ward-Lealand also co-starred in Front Lawn film Linda's Body, which won Best Short Film in the 1990 Film and TV Awards. In 1992 Ward-Lealand starred in her first feature film, The Footstep Man, opposite her real life partner Michael Hurst. She played Mireille, the prostitute lover of French painter Henri de Toulouse-Lautrec in the film within a film. "We needed her presence, her stature, her eyes, her voice," said the film's director Leon Narbey. "I'm not interested in an actor's delivery of dialogue, that's a stage technique. I'm after subtext and subtlety and body language and she's got all that." In a chapter on Ward-Lealand, in book New Zealand Filmmakers, Barbara Cairns described the actor's performance: "She is alternately bold, ambitious, sensitive, warm, angry, maudlin, and passionate." Next came a big role in stylish bodice-ripper Desperate Remedies (1993). It was the kind of role that requires both movie star beauty, and serious acting chops — as a "strong, passionate, confused" 19th century draper, caught up in romantic complications. In some scenes, Ward-Lealand was asked to convey "five different feelings" without the aid of any dialogue. Desperate Remedies earned back most of its budget at the Cannes Film Festival, after sales to 25 countries. The film put her on the cover of magazine Screen International. New York Times reviewer Stephen Holden was among those smitten: "Ms Ward-Lealand looks and acts like a cross between Greta Garbo in Queen Christina and Catherine Deneuve". NZ Herald writer Peter Calder called her New Zealand's "most accomplished and versatile actress". Desperate Remedies also earned her a Best Actress award at the International Festival of Fantasy Films in Sitges, Spain. 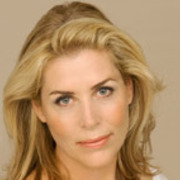 Ward-Lealand missed out on picking up the award in person, because she had to head back to Melbourne for high-rating Australian sketch show Full Frontal, which she appeared in for two seasons. By 2018, worried that complex female roles were now rarely found on the big screen, Ward-Lealand was excited to be offered the starring role in feature Vermilion. She played a composer who sees colours when playing musical notes, and whose daughter is about to marry. The exploration of motherhood, family and female friendship marked the feature debut of director Dorthe Scheffmann. Stuff reviewer James Croot praised Ward-Lealand, calling the film "very much a showcase for one of our finest actors." Her other big screen roles include the domineering mother of a murderer in horror film The Ugly, plus low-budget romp I'll Make You Happy and Maurice Gee adaptation Fracture. For Fracture she spent "90%" of the time lying in a hospital bed; she was nominated as Best Supporting Actress at the 2005 NZ Film and TV Awards. She is also set to act in buddy movie Dead. On television, Ward-Lealand did a two year stint as Isobel Kearney on soap Shortland Street. In 2016 she co-starred in drama series Dirty Laundry, as a kind-hearted matriarch who is also a money launderer. There have also been guest roles on The Billy T James Show, Duggan and Interrogation, plus three episodes of comedy Letter to Blanchy. In 2008, Ward-Lealand began learning te reo Māori, in the hopes of participating more in Kiwi cultural life. The final straw was a visit to the set of her husband's film Jubilee, where a group of Pākeha actors and crew didn't know how to respond to a mihi and waiata. "I was embarrassed." She began with one night class a week for four years, before a year studying full time. "Since my reo journey, I've also learned a whole lot more about my whakapapa and generally feel a lot more comfortable in my own skin, in this country." She used her te reo skills to narrate TV comedy Find Me a Māori Bride, in English and te reo. Her voice has adorned everything from ads to a run of arts documentaries, to an animated version of Buzzy Bee. She has also acted in short films (I'm So Lonesome I Could Cry, The Bar) and web series (Auckward Love, Auckland Daze). The latter saw her playing a celebrity real estate agent in leopard print, a role she found one of the "funniest screen experiences ever." As an actor and director of theatre, Ward-Lealand has amassed dozens of credits, including starring roles in Hedda Gabbler, Cabaret, Marlene and Rita and Douglas (as painter Rita Angus). In 2007, she toured her acclaimed Marlene Dietrich cabaret show Falling in Love Again (also the name of her solo CD) in New Zealand and Australia. She was a founding board member of Auckland's Watershed theatre in 1989, and in 2007 began an extended run as President of New Zealand Actors Equity. The same year Ward-Lealand was made an Officer of the New Zealand Order of Merit, for services to theatre and the community (in 2019 she was made a companion to the order). In 2018 she received the SPADA Industry Champion Award, for her "tireless dedication to the stage and screen."